Where the ultimate Sea to Sky meet at your pool. As we spend more time outdoors we can be inspired by our surroundings to build our dream outdoor living space. Just picture; a rich deep dark blue colored pool plaster to rival the ocean, strategically placed veneer rock to blend the patio with the surrounding rocky terrain or adding gold speckled glass tile to capture the sunlight as it bounces off the flowing water of a featured water wall. Let your imagination run wild the next time you are enjoying Mother Nature. ALKA POOL has a unique approach to fulfilling your backyard dreams of outdoor living. We design and build poolscapes for your outdoor space to complement your personal style by understanding your needs and concerns. We’ll discuss at length with you; your lifestyle, your fitness and/or entertainment needs, your safety considerations, your budget and of course the area where you want your pool located, giving consideration to the shape of your lot, home architecture and existing landscape. We work with you through the whole process so you can enjoy your outdoor living space for years of endless pleasure, years of relaxing by the pool, years of keeping fit, years of getting splashed by kids (of all ages! ), elegant pool-side entertainment and hours of simply sitting by the side of your own personal paradise soaking up the pleasure of owning an ALKA POOL. Let us Help you Create a Backyard Dream Today. We wanted to take a moment to share with you an organization that is close to our hearts. The Water Project is a non-profit organization that provides reliable water sources to communities in Sub-Saharan Africa. Teaming with local partners they construct water projects to bring clean and safe drinking water to areas where there is no access to safe water. Without pure water, the essence of life, a cycle of sickness begins that leads to poverty and eventually the loss of hope. This needless suffering can end with our help and together we can change lives for the better. We invite you to join us in our efforts to make a difference today. This impressive infinity pool juts out from the rock cliff with a portion suspended 40’0″ in mid air. The reflective surface comes from the luxurious black glass tile that gives it a mountain lake look further enhanced by the breathtaking view at every angle of the valley below and surrounding mountains. Also included in this high-end home is a cozy whirlpool highlighted by the oculus above it that allows natural light into the covered area, creating a spectacular effect. It was an honour to be a part of this collaborative effort with Dürfeld Log Constructors and BCJ Architects. Our “Swimming on the Rocks” pool won us the Grand International Award in 2014 with the Master Pools Guild as well as making the Platinum List and being named the International Pool of the Year for Ocean Home Magazine in 2015. Please click on the images on the right to view the publications. "...It has been our pleasure to work on numerous swimming pools with Alka Pool. Our office focuses on unique pool, spa and fountain construction. These complex designs require a team effort to accomplish results that push creativity. Alka Pool is always accommodating and a valuable component of the design team. They are not only professional at every level but fun to work with. I highly recommend their company to anyone who is looking to enhance their property with a swimming pool or spa." Ron Rule of Ron Rule Consultants Ltd.
"ALKA did a great job through out the entire project. All staff were very professional and excellent to work with. This was a technically challenging installation that ALKA completed on time and budget...and were very good to work with. I highly recommend ALKA for pool and spa construction." "I have worked with Alka Pool on multiple swimming pool/whirlpool projects. They have shown a keen understanding of scope of work, and execution of finish product to the highest levels to meet municipal requirements. I will continue to work with them." We had a vision for our pool and Alka Pool made it a reality. The site was very challenging, both in terms of access for equipment and materials and because it was a very tight space...Alka Pool met the challenge and produced a masterpiece that both compliments and blends with the natural beauty surrounding this location. Alka Pool bought the first automatic pool cover we ever supplied to the industry. That was almost 35 years ago! This gives Alka Pool the distinction of being our oldest client and friend. While that is a great and honorable talking point, we also appreciate the designs that they bring to the table and workmanship that Alka Pool exhibits on all of their projects. Alka Pool created the most beautiful pool for us. We never cover it as it glows at night and is like a piece of art in our backyard. Our house would not be the same without it! "ALKA POOL Construction has proven to be a crucial player in the construction industry. They continue to meet the high expectations that I demand for my clients, and their attention to detail is never over looked. Through design, costing and implementation - working with the ALKA POOL team is always an enjoyable experience." "When you plan and build a pool, you want to be sure that you have selected a pool contractor who is experienced and can deliver. You don't want surprises. ALKA POOL delivered in all respects - they built my pool on time, on budget and the quality of the construction exceeded my expectations. Well done." "I would like to thank you and the crew at Alka Pool. You delivered the dream...delivered it as promised...and delivered it on time...exceptional throughout and much appreciated by our family." 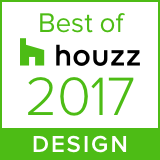 We love sharing our award winning swimming pool designs and our pool ideas on Houzz. To see more visit our profile on Houzz.